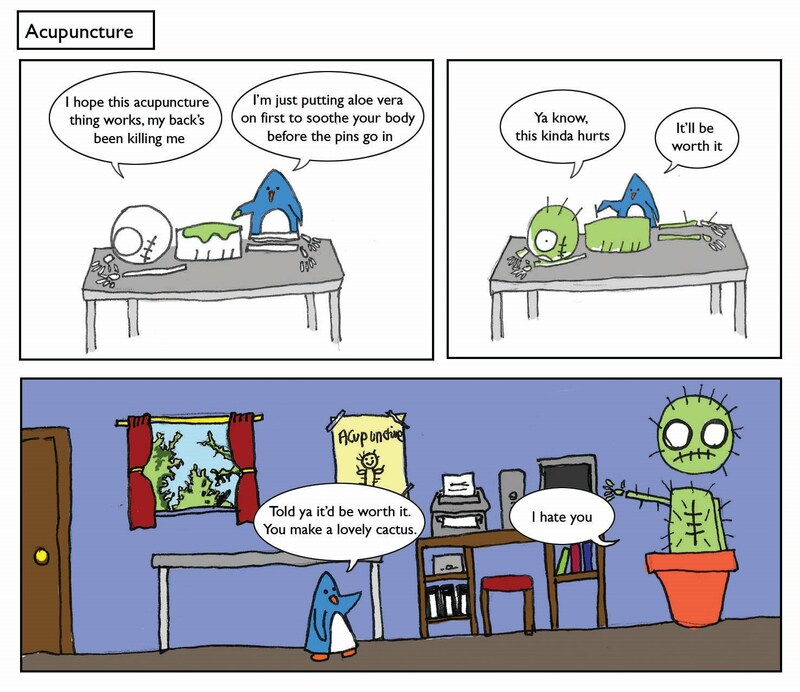 Apparently acupuncture isn't even a real thing but cactus are, so that's good. Cactus remind me of Mexico and burritos which are awesome. Speaking of burritos I went to chiquitos last Friday and would highly recommend it. NOM! I went to chiquitos today and it was lovely! I wish I had such a decorative cactus.. 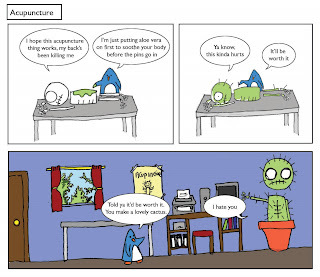 It is quite a funny comparison of accupunture with cactus and burritos but it is some sort of tru because both contain needles with themThat is why, I usually go to a chiropractor to get rid of my anxiety. Acupuncture was performed immediately before and after ET (ACU 1 and 2 groups), with each session lasting 25 minutes; and one 25-minute session was performed 2 days later in the ACU 2 group. Get the new submission of the blog here and get the special attachement of healthnfitnessvigilante.com with the help of which you can find the better service with the new deal of accupuncture and can click to the new pattern of this page.